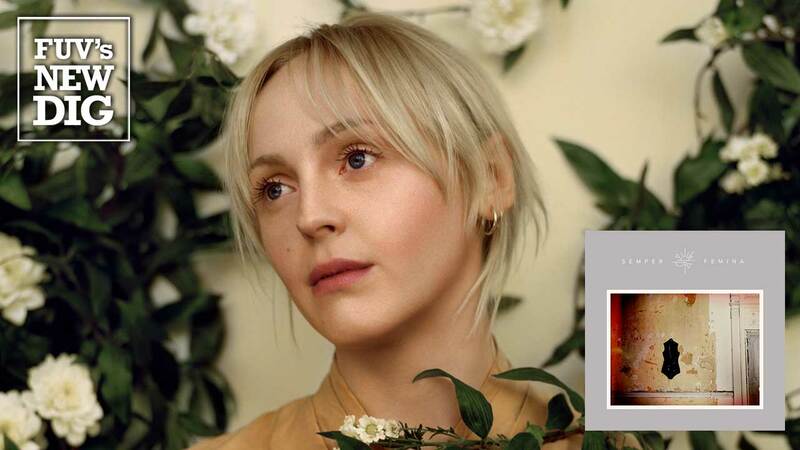 Over the course of five studio albums, Laura Marling has become one of music’s most compelling singers and songwriters. Now 27, the British-born Marling has released another deeply passionate album, her sixth, called Semper Femina. The songs on Semper Femina are filled with confident observations that are married to beguiling, haunting melodies and rich arrangements packed with an aural depth that envelops her serene voice. The expansive nature of the music never hides the assertiveness of Marling’s words. In fact, as Marling and producer Blake Mills have figured out here, it’s the opposite. The folky tranquility of many of the songs supports the weight of her emotions and the directness of her viewpoint. To go along with the enthralling nuances of her voice, Marling’s understated guitar playing grounds the arrangements in a way that's never intrusive, but always present. Like her past work, Marling’s songs are pensive, emotionally direct, and clear, but Semper Femina attains a new level of beauty. The acoustic folk gem “Wild Once,” the lightly galloping “Next Time,” and the gorgeous “Nouel,” are prime examples of Marling’s brilliant songwriting. Marling’s music is simultaneously simple and fragile, yet complex and self-assured. While Semper Femina is focused on women and female friendships, there are many layers to the portrait she develops. It’s a challenging skill for any artist to achieve, but for one as talented and as wise beyond her years as Marling, it comes with a remarkable deftness. Watch Laura Marling perform songs from Semper Femina for FUV Live taped at Rockwood Music Hall in March 2017.